I am appreciative of watching Trevor Otts’ Facebook Live video about the Seven-Figure Lie. It has spurred me into action. 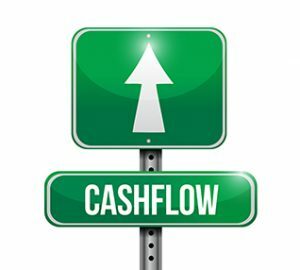 Becoming cash flow positive means acting and believing this. For myself, I am reading all of the Selz.com blog posts. I subscribe to the newsletter but rarely read it since I’ve uploaded all of my products. Well, now I am determined to learn more about the system to become more profitable. I always listen to my community for what problems they are having. I have received a lot of positive feedback from my spring clean your project challenge centered about earned value management. They like learning about how to measure your time and costs. You can use EVM for home and work projects. I have added more bonus modules to this course to help people better allocate their time and money. I value my audience’s time and money which is why I am notifying you about the $97 early bird pricing. This price is good for an entire week. It will go up to $197 Saturday, April 8th. The original price will be $297 starting April 15th. Watch the preview right now to gain more of a feel for the earned value management explained here! Shout out to Danica, my biz bestie, for encouraging me to return to Teachable instead of uploading my course directly into my online store. I have launched my Earned Value Management Explained course for pre-sale and will revamp all of my courses. Having a biz bestie accountability partner has been one of the best things that has happened to me this year. I am grateful because I can bounce ideas off of her. Also I get a lot of ideas from her. Revamping my Teachable site will help me serve, guide and communicate with my target audience. I love communicating and exchanging ideas with people. I love producing this newsletter because it affords me the opportunity to communicate with you, the reader. Producing my courses allow me to communicate project management the right way with my intended audience. Furthermore, my courses aren’t intrusive. They fit into your life and your learning. My ultimate goal is for my Teachable courses to receive the Project Management Institute registered education provider (R.E.P.). This distinction would let me serve, guide and communicate with even more people because I love the interaction. One of my affirmations is to be open to learning something new from people, places and things. I learn from my email list and everywhere.